While Novak Djokovic is the undisputed number one in men's tennis, there is no doubt that he is the second favorite going into the Roland Garros grand slam. The French Open is, and has always been, Rafael Nadal's home court. He may be from Spain, but Nadal has made the clay of Paris the court where he feels most comfortable. He has only lost ONE match at Roland Garros during his entire career. That is an incredible run, spanning close to a decade. His only loss came when he was half injured, so what chance does Djokovic, or anyone for that matter, have of beating Nadal? 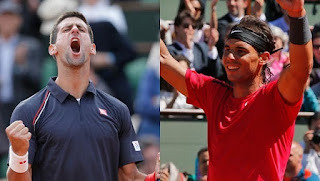 The greatest threat to Nadal will come from the world number one, and the two are set to meet in the semi final stage. 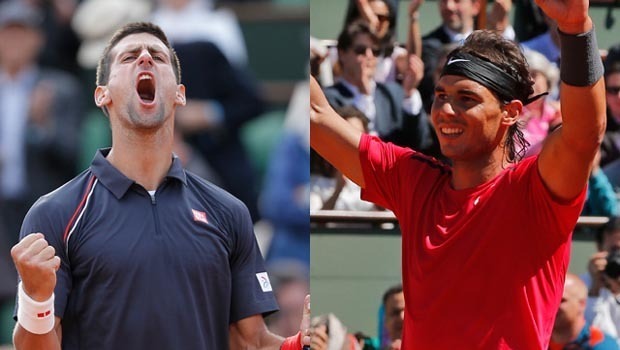 This will be a monumental clash, with Novak Djokovic determined to break Nadal's stranglehold at Roland Garros. Interestingly, Djokovic has never had the best record in the French Open. So he has two reasons for wanting to do very well there this season. The two will give everything in their semi final, which could play into the hands of another tennis great. Roger Federer will most likely be the one waiting for the outcome of the Nadal/Djokovic semi final, with his route to the final considerably easier. Federer does not have Murray to deal with this time, as Andy suffered an injury before this tournament. In addition, Gael Monfis just took care of the seventh seed, Tomas Berdych. If Federer plays anywhere close to his best tennis, he is a shoe in for the final. In addition, the fatigue of Nadal and Djokovic could play into his hands as he bids to win this grand slam. Those two will end up playing a three to five hour semi final, while Federer's match should be a lot shorter. 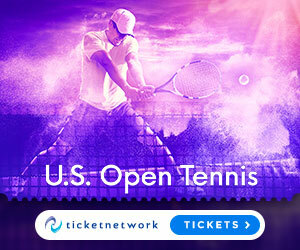 Tennis tickets are available for this year's French Open. Tickets for the latter rounds will be expensive, but it is definitely worth the money. Despite the advantage that Federer may have, he will still have an impossible task if it is Nadal that he faces in the final. The last time those two met in a final, Nadal won in four sets. However, one of those sets was a 6-0 scoreline, highlighting the dominance of Nadal over Federer on clay. Roger will have to hope that he has the best day of his year, while Nadal has an off day, if he is to claim glory at Roland Garros. If it is Novak Djokovic that Federer faces in the final, he would fancy his chances of winning. If you can get your hands on Wimbledon men's final tickets, you will be in for a true treat. 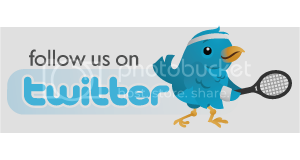 Wimbledon is considered by many to be the greatest grand slam event on the calendar. With four great players vying for the trophy, there are sure to be plenty of great match-ups. The French Open title may be a near certainty for Nadal, but Wimbledon will be a totally different matter. Murray will be back, while Djokovic and Federer are stronger on grass. In addition, Nadal will struggle with his fitness after a grueling two week French Open. It would take something very special for him to claim glory at both grand slam events, particularly with such fierce competition around him.